This February we are excited to be participating the Exmoor Food Festival! 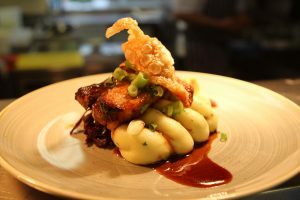 Every year in February a range of restaurants on and around Exmoor to offer outstanding food at an affordable price as part of the Exmoor Food Fest. We will be running a special Exmoor Menu alongside our main menu, which showcases the wonderful produce we have right on our doorstep in wonderful North Devon. 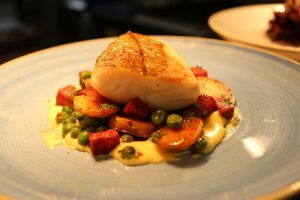 Not only does it feature some delicious dishes, but it’s completely affordable at £12.50 for 2 courses at lunchtime, every day apart from Sundays!